Vitalia Health Care’s newest division, IV Drip Vancouver, is one of the quickest routes to enhanced health and beauty. Our team of naturopathic doctors offers natural, non-invasive treatment options to help you achieve clear, radiant skin. From clinical skin care to Botox injections, our effective services are designed to take years off your skin. As we age, it’s normal to develop frown lines between the eyebrows and smile lines around the mouth. However, these creases in the skin can make us appear angry, sad, or tired when we’re not. If you’re tired of looking at wrinkles in the mirror, there’s a solution. Xeomin Cosmetic is the new generation of Botox, free of complexing proteins. 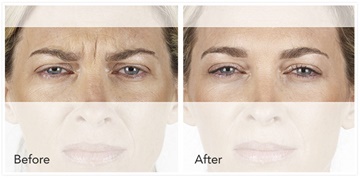 When performed over three to four months, Xeomin can help soften expression lines for a more youthful look. With repeated treatments, the body is able to rebuild lost volume through the stimulation of new collagen in the wrinkled area. The use of botulinum neuromodulators can be used to treat and prevent wrinkles caused by expression lines. When performed over three to four months, Xeomin can help soften expression lines for a more youthful look. With repeated treatments, the body is able to rebuild lost volume through the stimulation of new collagen in the wrinkled area. The use of botulinum neuromodulators can be used to treat and prevent wrinkles caused by expression lines. As you age, your hair follicles naturally become smaller in size, resulting in thin, brittle hair. PRP hair rejuvenation can help restore the hair follicles back to their normal size, resulting in strong, healthy locks. This treatment is ideal for patients who are experiencing early signs of hair loss, or those who have naturally weak, thin, or dull looking hair. Most patients can achieve optimal results after just three to five treatments, spaced out three to six weeks apart. Facial rejuvenation acupuncture is known to have physical, mental, and spiritual health benefits. The natural treatment is subtle, but has been found to clear and brighten skin while minimizing the appearance of dark circles under the eyes. The treatment is also designed to lower stress, harmonize energy, and provide an overall boost of health. Most patients begin to experience its benefits after just three treatments. However, a series of ten sessions is recommended for long-lasting results. Experts have touted the anti-aging benefits of bio-identical hormones for decades. When applied directly to the skin in small amounts, the estrogen compound known as estriol has been shown to hydrate the skin, improve elasticity, and build collagen. This treatment has also been found useful for women suffering from hair loss. A hormone known as progesterone can be used topically in your favorite shampoo to slow down or reverse hair loss. iS Clinical from Innovative Skincare is a clinical skincare brand containing natural ingredients. The treatment features pharmaceutical-grade cosmeceuticals that are free of parabens and other harsh ingredients. Clinical Skincare can be used to treat a variety of common skin conditions, such as acne, melasma, fine lines, and dull skin. Try our favorites, such as Youth Eye Complex for smoothing fine lines, Super Serum with 15% ascorbic acid, and Youth Serum for firming, hydration, and skin renewal. Located in Vancouver, BC, the IV Drip Center offers a variety of treatments performed in a comfortable atmosphere. 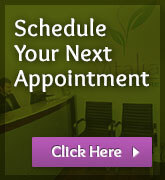 We aim to meet your individual health and beauty needs. Book your appointment today.